After this section, you can make Grove - LoRa Radio run with only few steps. Now we are making a demo for P2P(point to point) communication with the Grove - Lora Radio 433MHz, the Grove - LoRa Radio 868MHz is the same way to use. Grove - LoRa Radio 433MHz can't talk to Grove - LoRa Radio 868MHz. Seeeduino Lotus 2 GET ONE NOW! Grove - LoRa Radio 433MHz 2 GET ONE NOW! Micro USB Cable 2 GET ONE NOW! 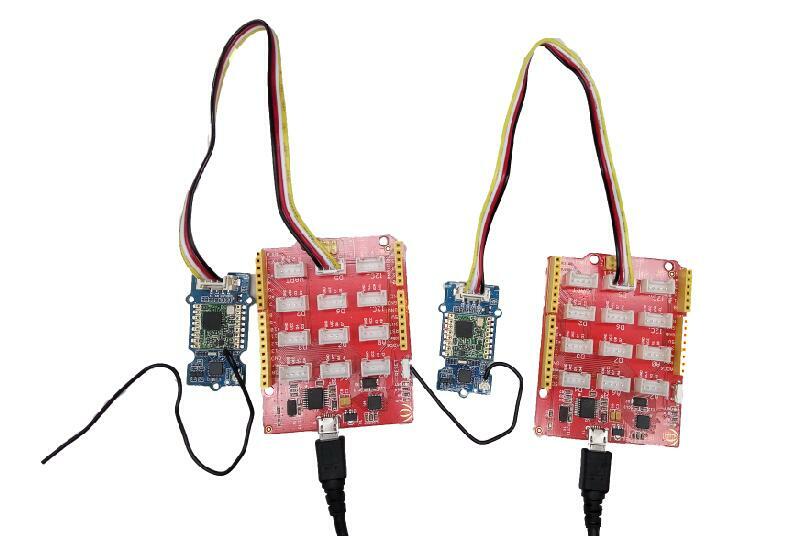 If this is your first time using Seeeduino Lotus, please refer to Seeeduino Lotus's wiki. Seeeduino Lotus is fully compatible with Arduino which works as simple as Arduino. If this is your first time using Arduino, Please put hand on here to start your Arduino journey. 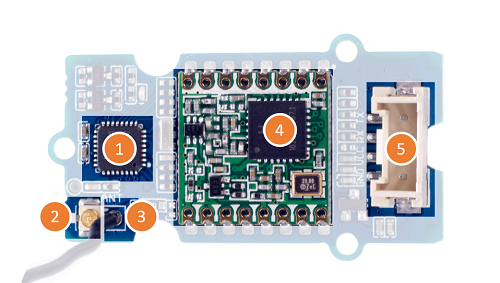 Seeeduino Lotus is a combination of Seeeduino and Base Shield. 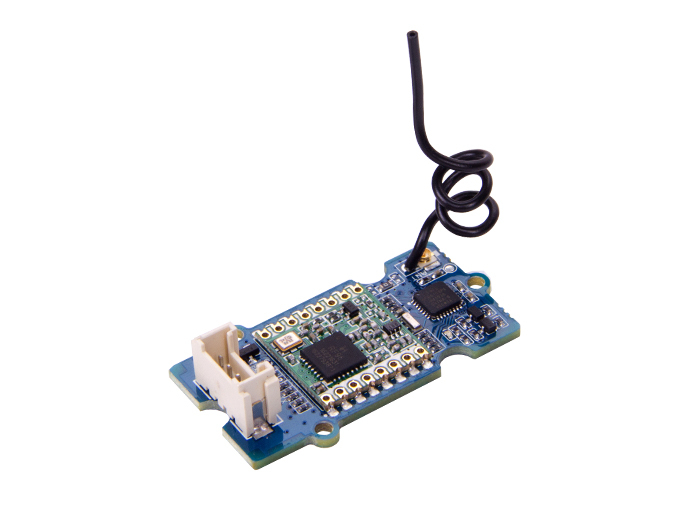 We can connect the LoRa Radio module to the D5 socket directly as the below picture shows. 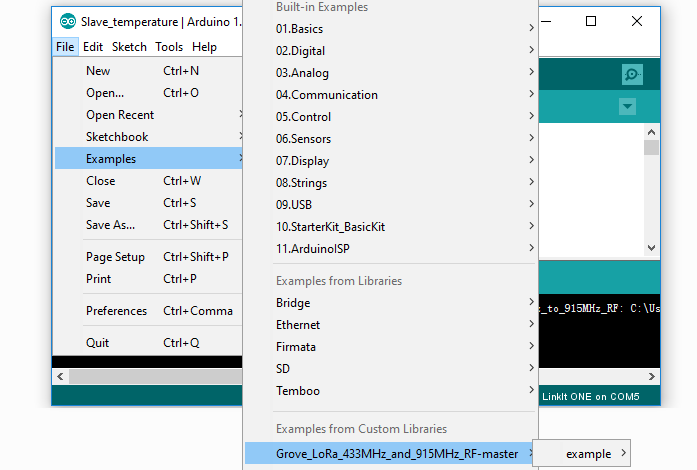 Open your Arduino IDE, click File > Examples>Grove_LoRa_433MHz_and_915MHz_RF-master you will get many examples for the module. Click Tools>Board to choose "Seeeduino Lotus" and select respective serial port then click on Upload button to finish the steps. If you're using Grove - LoRa Radio 868MHz module change the following code. 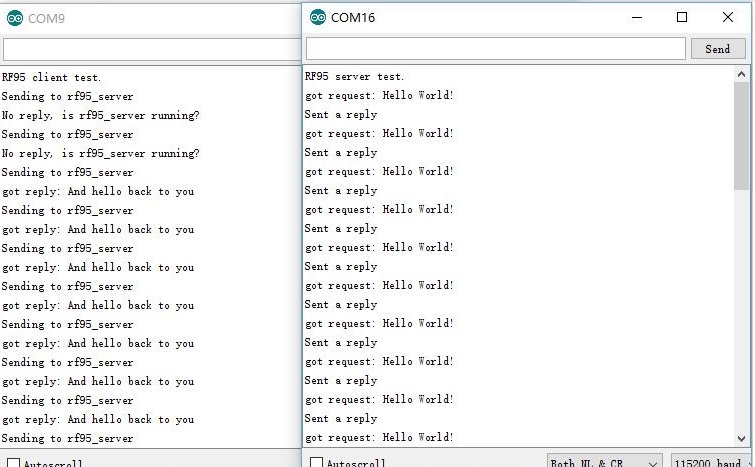 After upload completed, you can open the serial monitor to see the result. 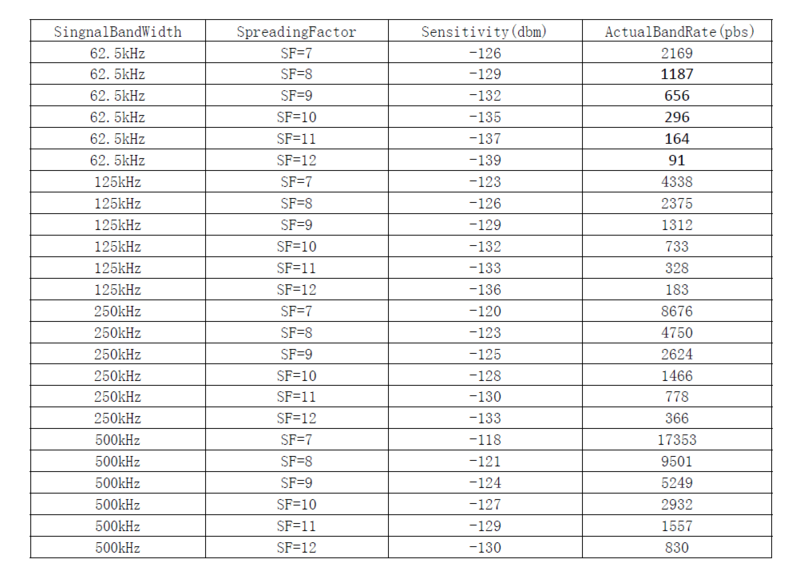 The below chart shows the relationships between the band rate signal band width spreding factor and sensitivity.